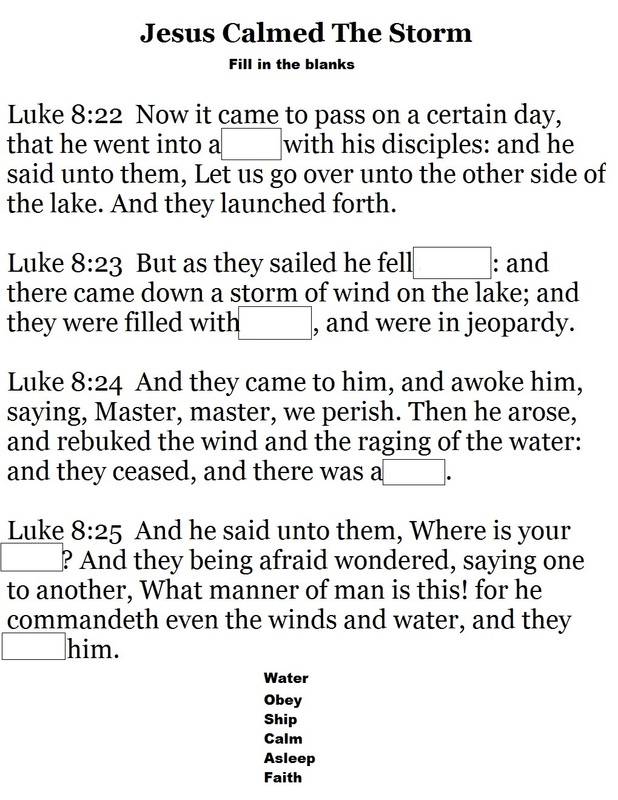 Luke 8:22- Now it came to pass on a certain day, that he went into a ship with his disciples: and he said unto them, Let us go over unto the other side of the lake. 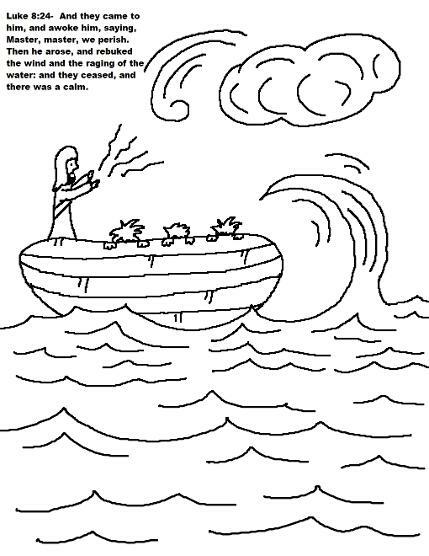 And they launched forth. 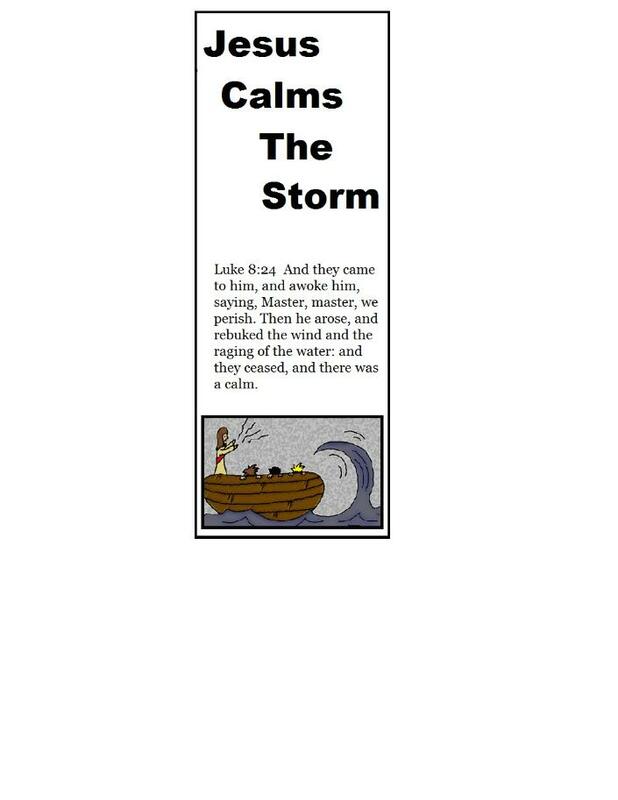 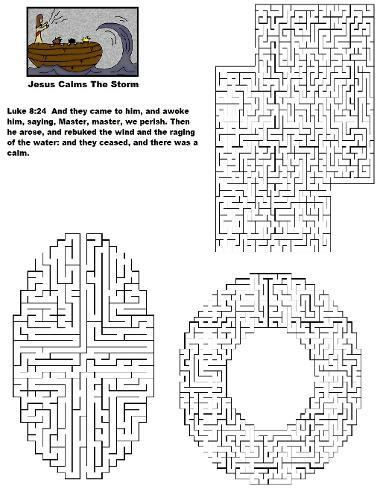 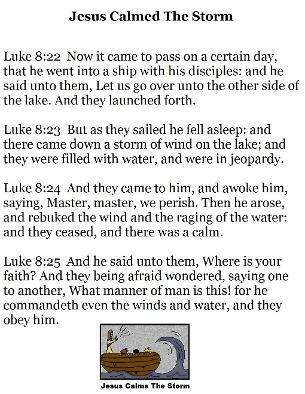 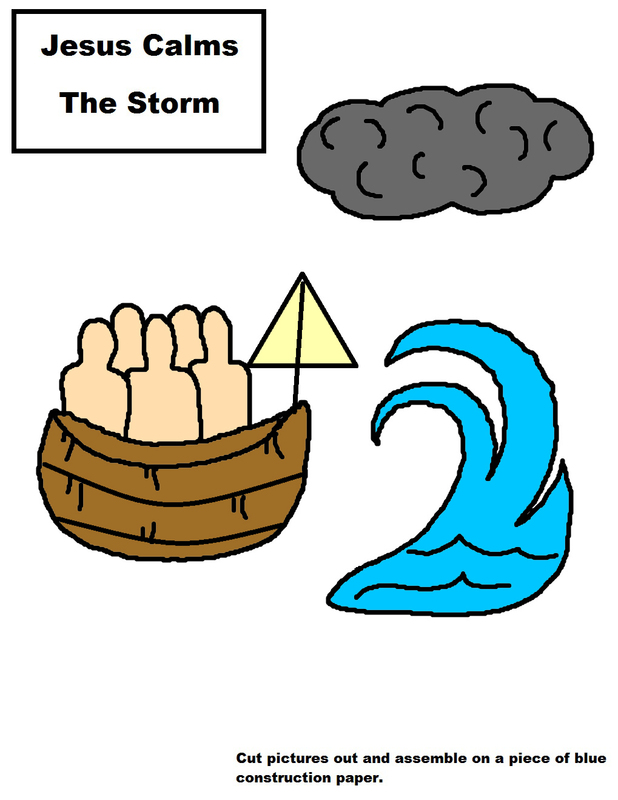 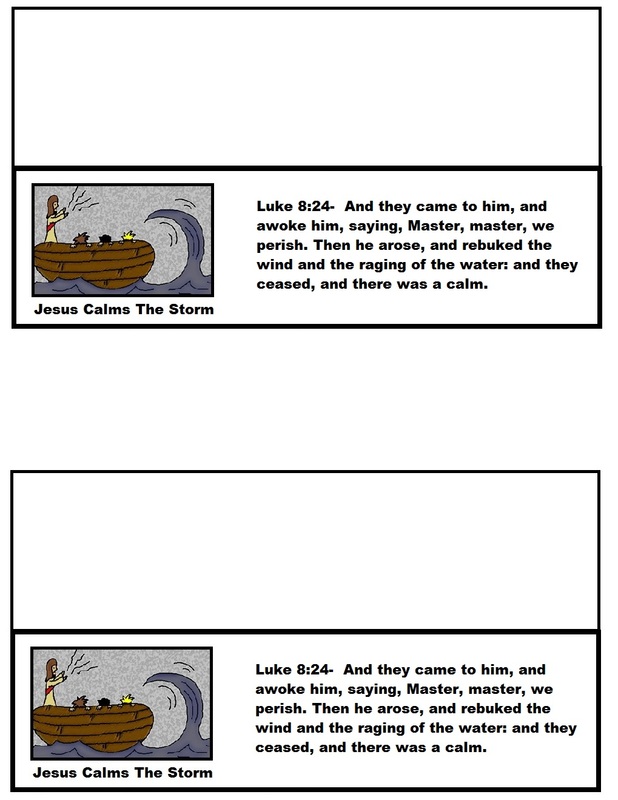 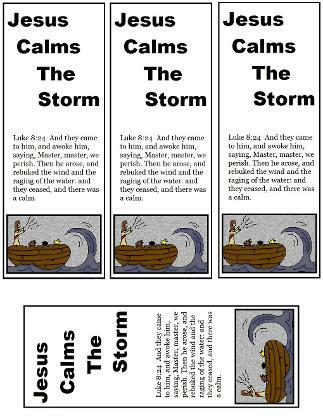 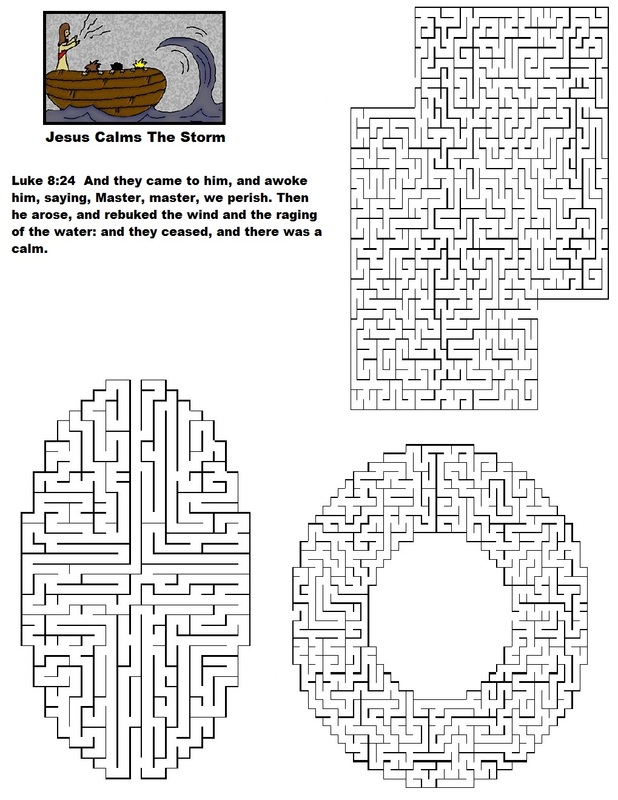 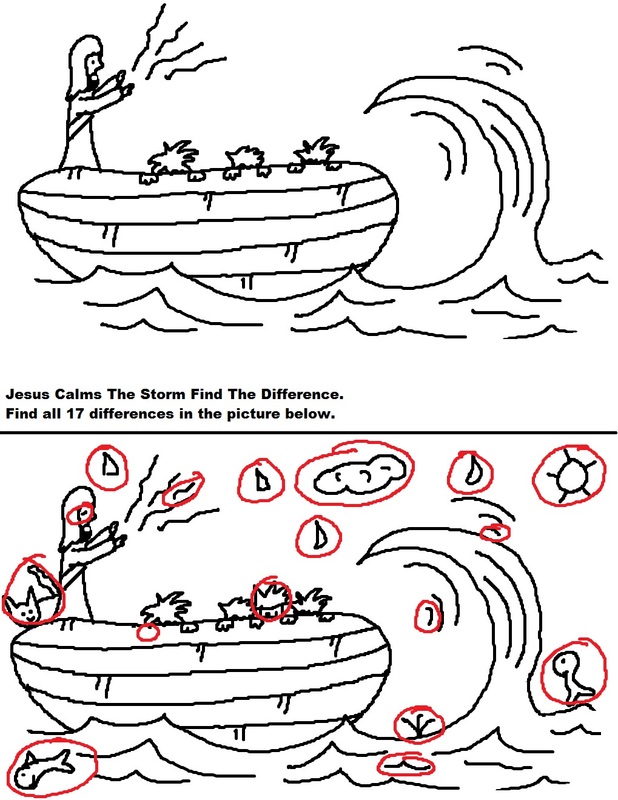 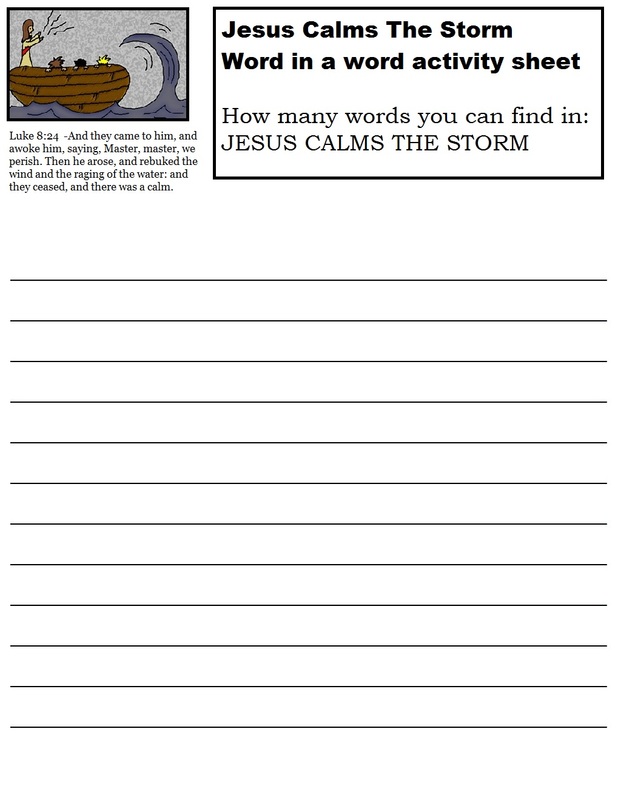 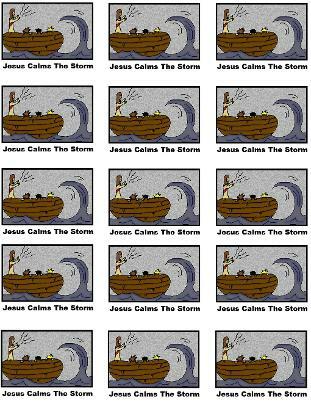 Luke 8:23 - But as they sailed he fell asleep: and there came down a storm of wind on the lake; and they were filled with water, and were in jeopardy. 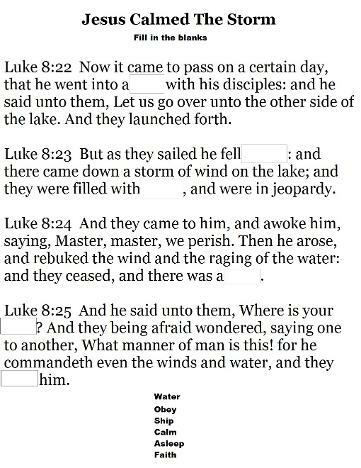 Luke 8:24- And they came to him, and awoke him, saying, Master, master, we perish. 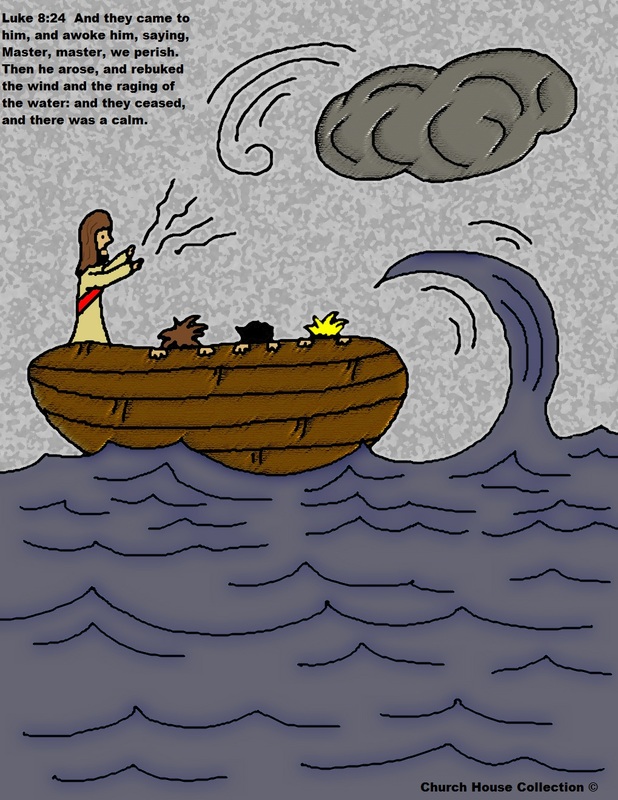 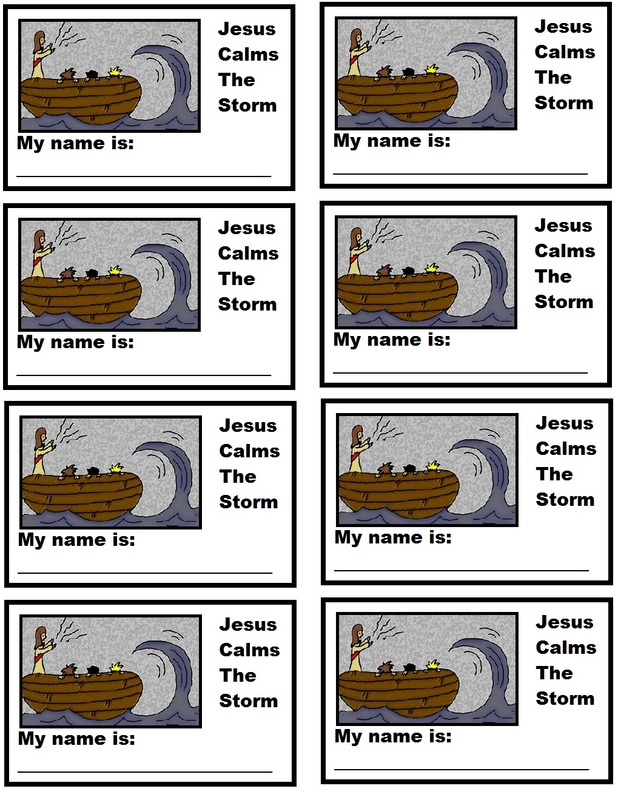 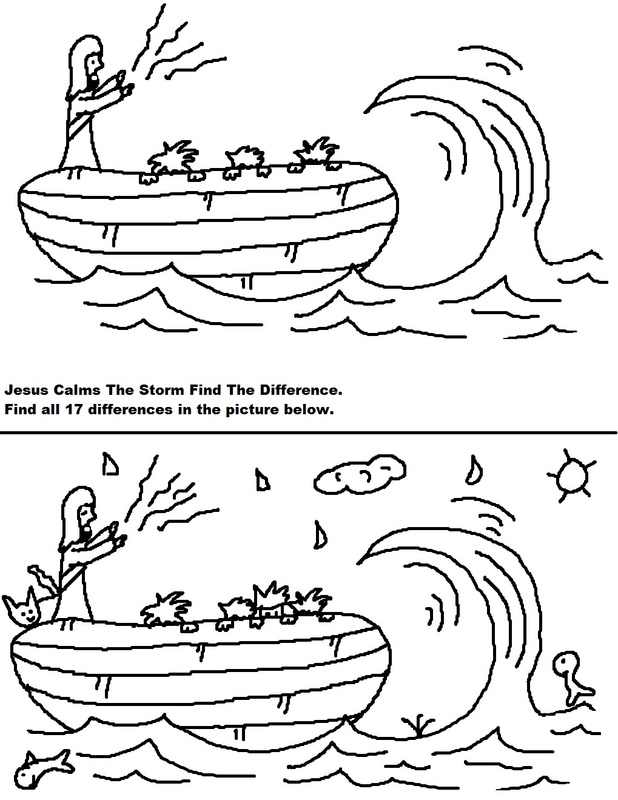 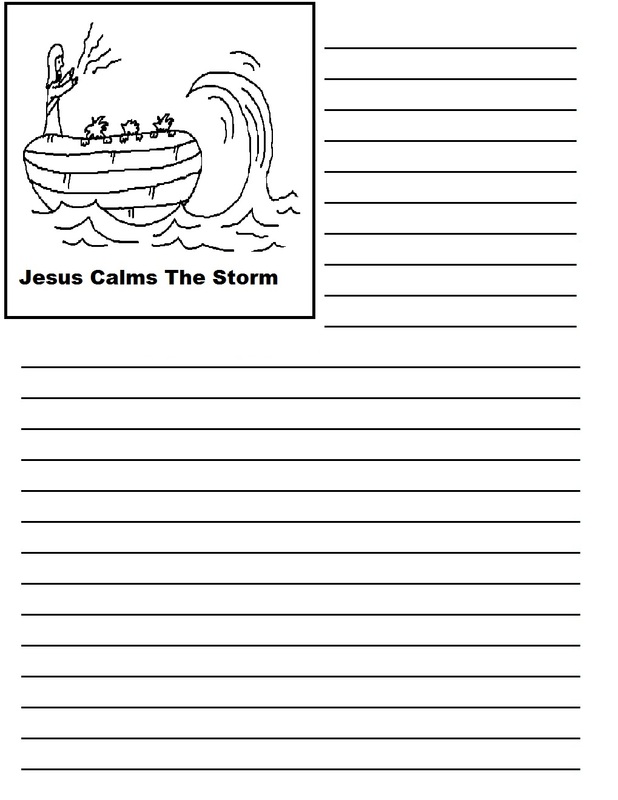 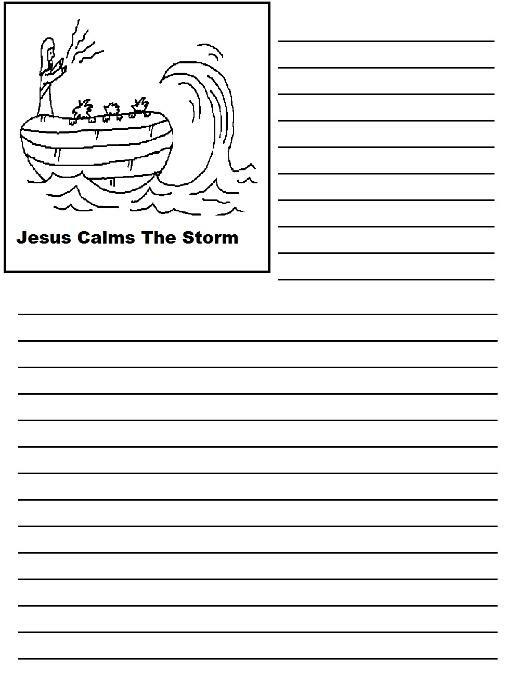 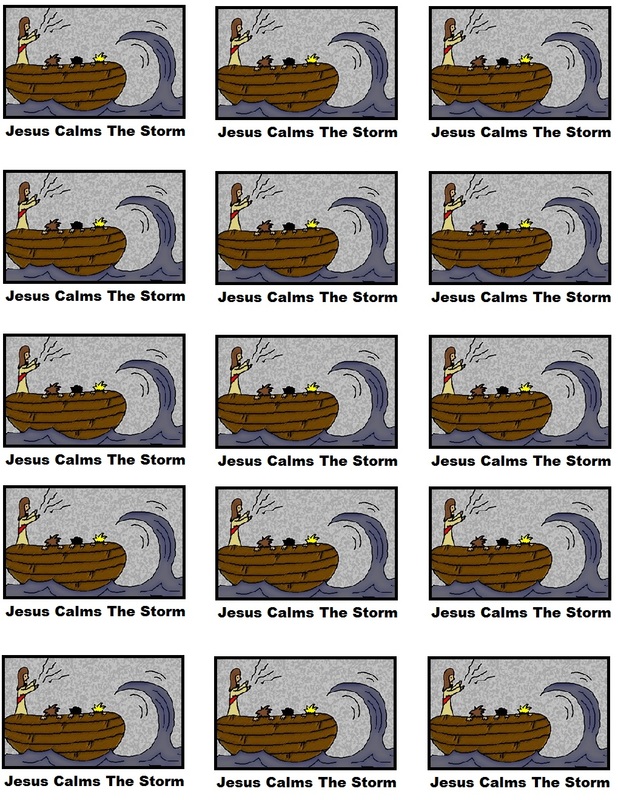 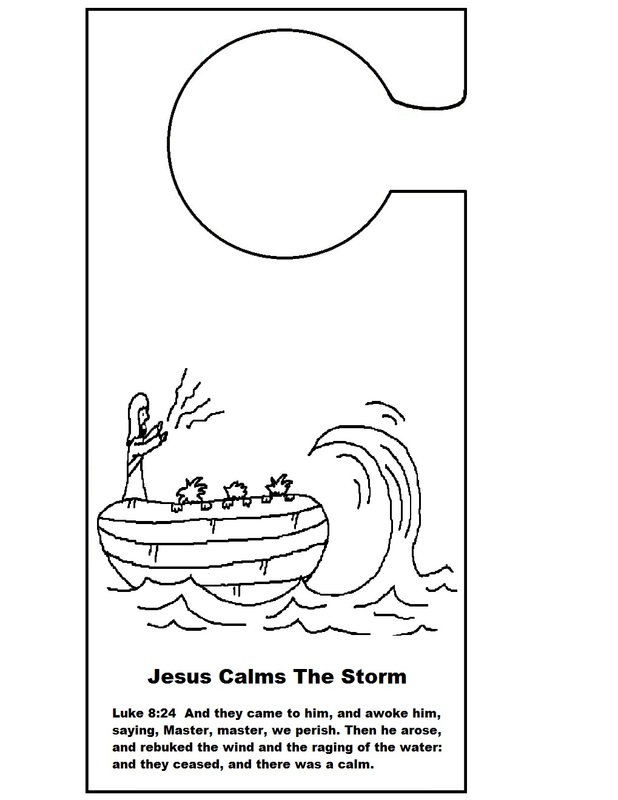 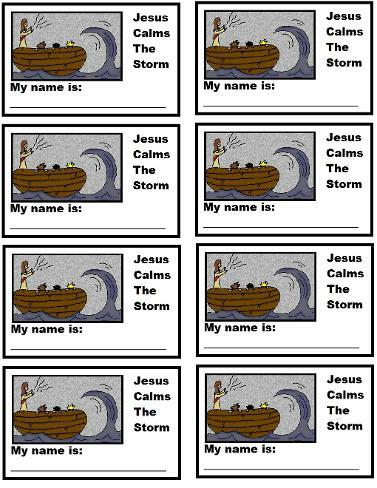 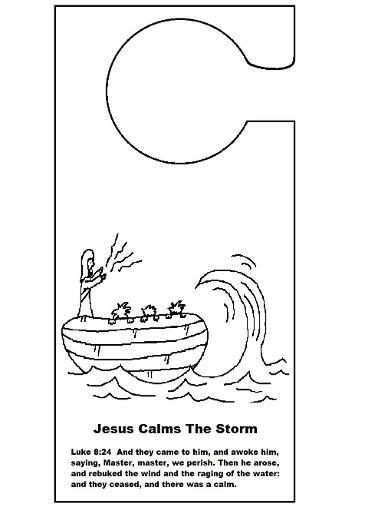 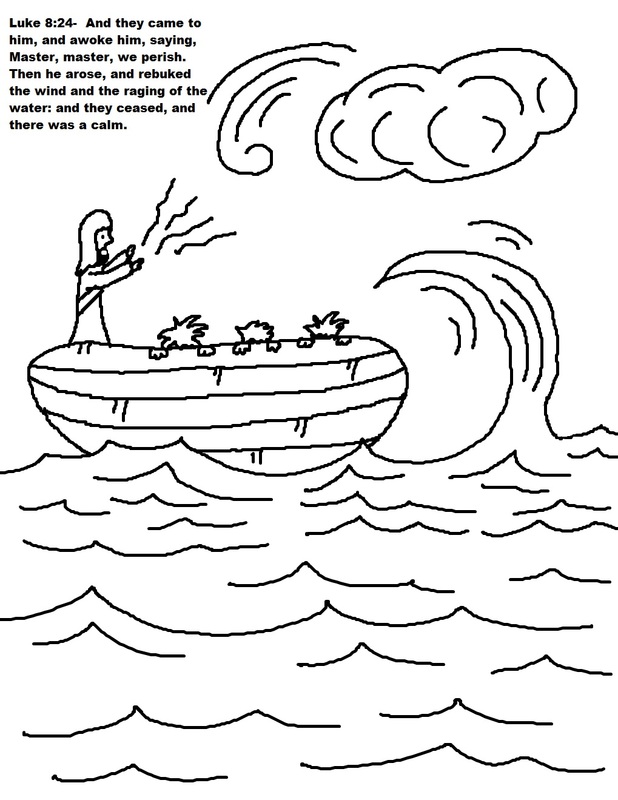 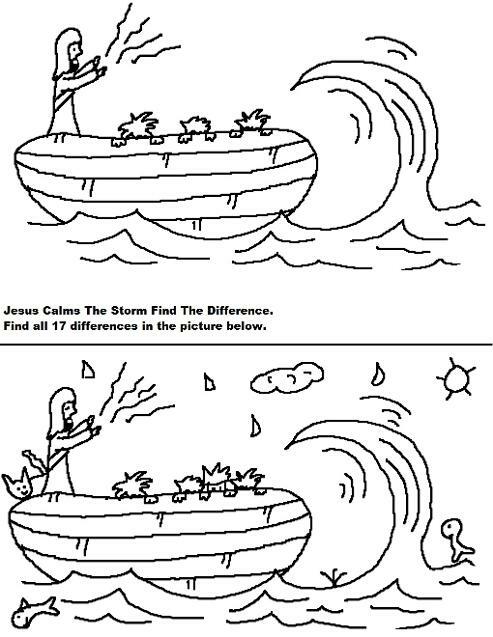 Then he arose, and rebuked the wind and the raging of the water: and they ceased, and there was a calm. 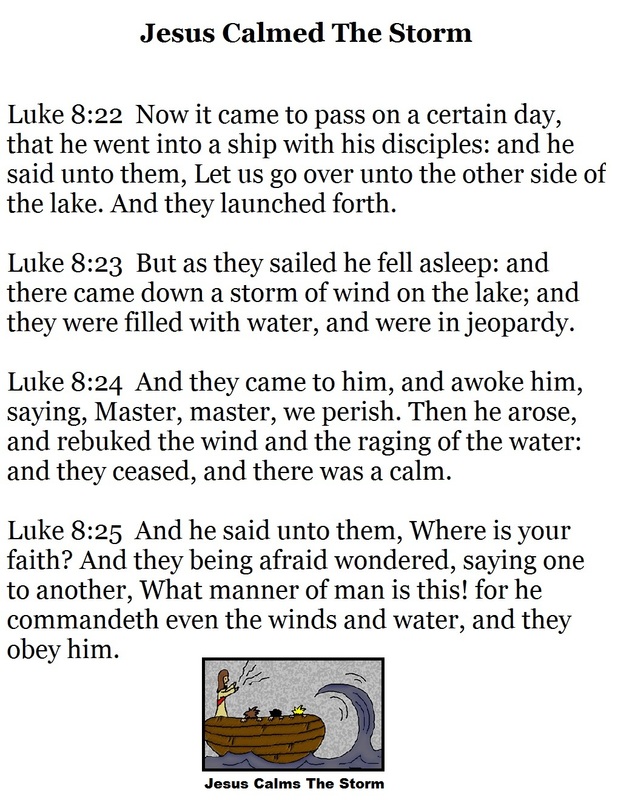 Luke 8:25- And he said unto them, Where is your faith? 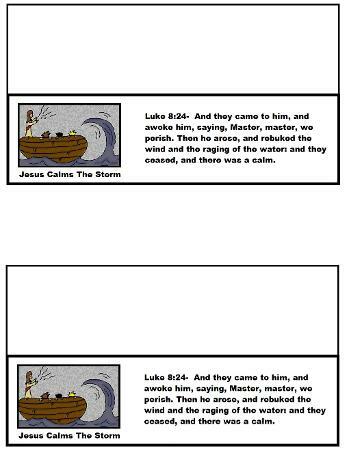 And they being afraid wondered, saying one to another, What manner of man is this! 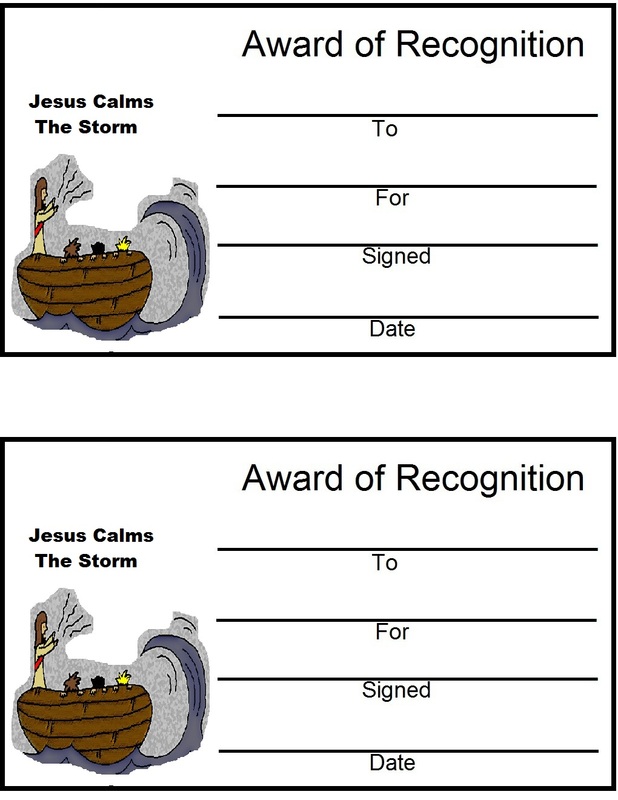 for he commandeth even the winds and water, and they obey him. 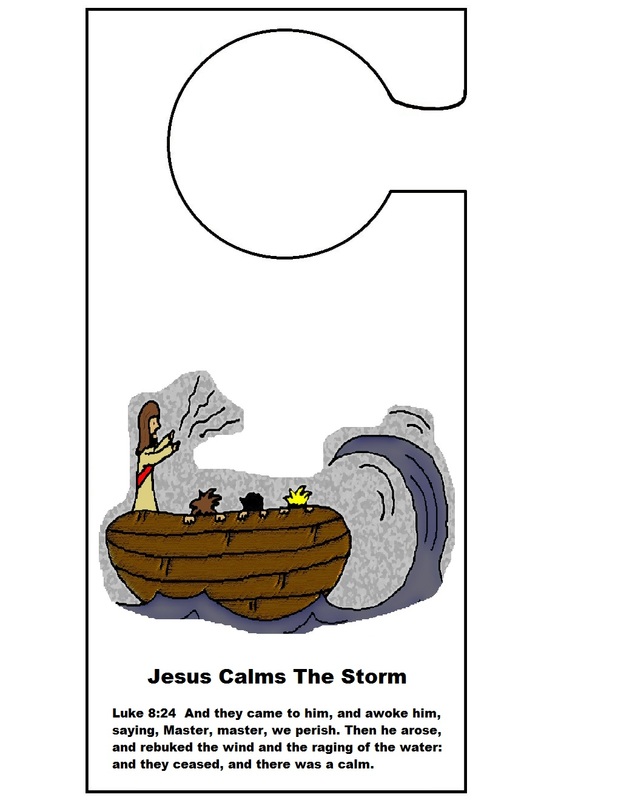 Use for stickers, magnets, popsicle stick puppets, etc. 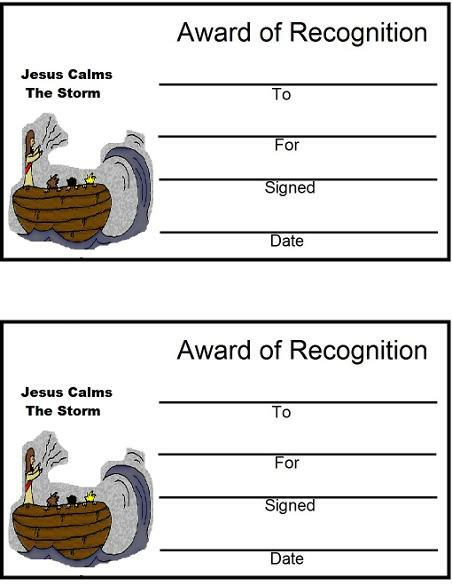 Just print this out and cut them out. 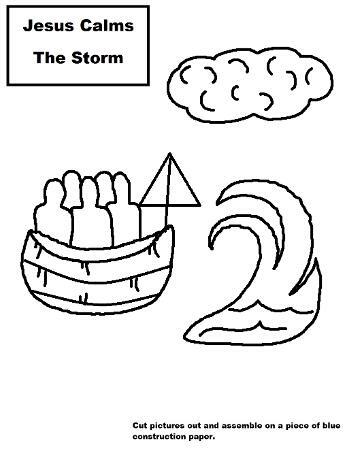 Fold them over a snack filled ziplock bag and staple on each side. Give to the kids for a snack during children's Church. 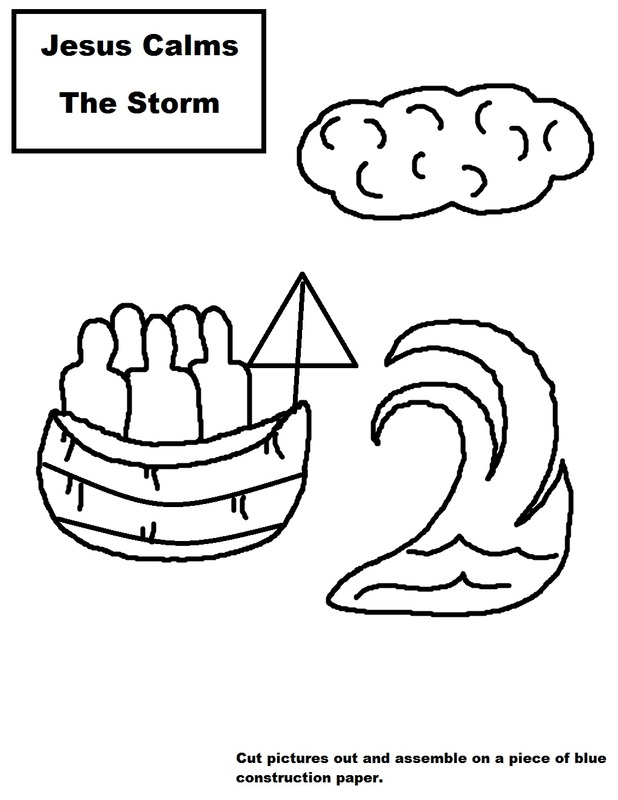 Just color and cut pictures out along with words and glue to blue construction paper. Cut pictures out and glue down on blue construction paper.